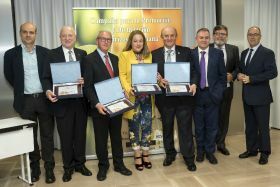 Juan Vercher of Bollo International, Anecoop’s Joan Mir, Cristóbal Aguado, president of the Ava-Asaja union and Carmen Cabra of Fruit Today magazine were named Ambassadors of Spanish Citrus at the first ever edition awards ceremony organised by the Campaign for the Promotion and Dissemination of Spanish Citrus. The winners picked up their awards at a ceremony at the Barceló Hotel in Valencia last week. 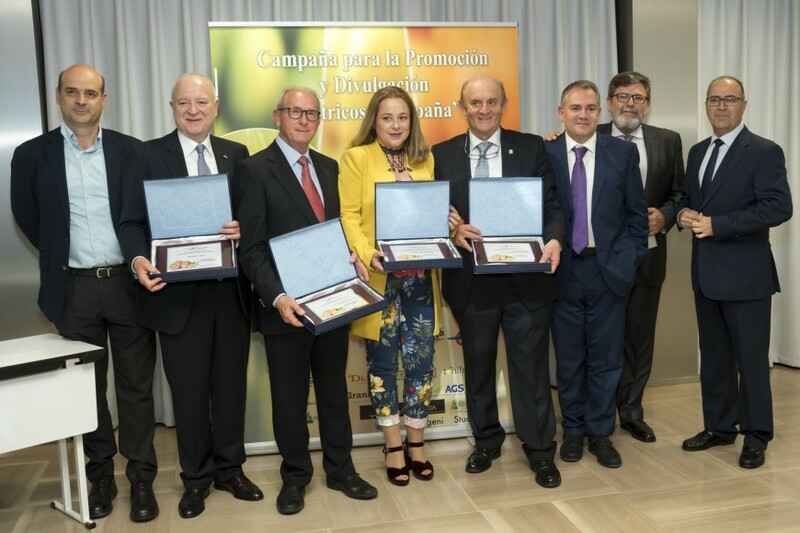 “It is an honour to celebrate such important personalities from the Valencian citrus sector that have worked so intensely to promote Spanish citrus,” said Francisco Seva, the food journalist and coordinator of the awards. The winners expressed their ongoing commitment to the sector and highlighted the importance of promotion and marketing as vital tools for the agri-food sector as a whole.